Jessica and Rigos originally met on Myspace, where Rigos was told he had "no chance" with Jessica. However, after meeting him in person for the first time at Buffalo Wild Wings, Jessica was drawn to Rigos and they decided to go on a few dates. The timing wasn't right, but Rigos never let Jessica leave his mind completely. Years later, he texted her randomly and they began talking non-stop. One weekend, Jessica and Rigos decided to go on a mini-vacation to Topsail beach. The two were about to leave for a dinner cruise when Rigos told Jessica he had a surprise for her, something to go with her outfit. Jessica sat down on the bed, closed her eyes, and reached out her hand. When she opened her eyes, there was a jewelry box in her hand, and Rigos was nervously guzzling a beer on the other side of the room. At first, Jessica assumed it was a joke, but Rigos was absolutely serious. After a few moments of disbelief and nervousness, she said yes, and Rigos breathed a sigh of relief. Since their wedding day was so close to Halloween, Rigos and Jessica decided to have a "splash of Halloween" themed wedding. They incorporated their black, orange, clover, and purple wedding colors throughout the scene. They even used pumpkins, gourds, leaves, and black "witch's cauldrons" as centerpieces, and all the table numbers were written on witch's brooms. There were two cakes--one was a "traditional" wedding cake with cream colored icing and fall leaf decoration, and the other was a Halloween cake with a "Nightmare Before Christmas" theme! 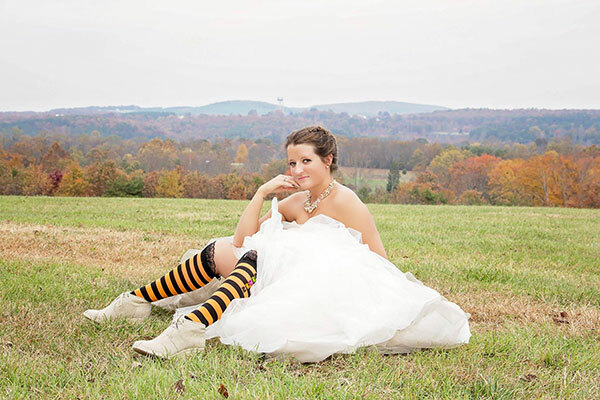 Considering Rigos and Jessica's Halloween theme, many aspects of their wedding were incredibly unique. At the rehearsal dinner, they gave out "Day of the Dead" themed invitations with bride and groom skeletons on them. On each table cloth there were skeleton hands covered with lace sleeves, and several "Day of the Dead" painted skulls adorned Riverview Manor's red barn. Flickering candles in spider-web tea light holders and glass wine bottles with spooky labels completed the dinner's haunted feel and made the affair a truly unforgettable experience. 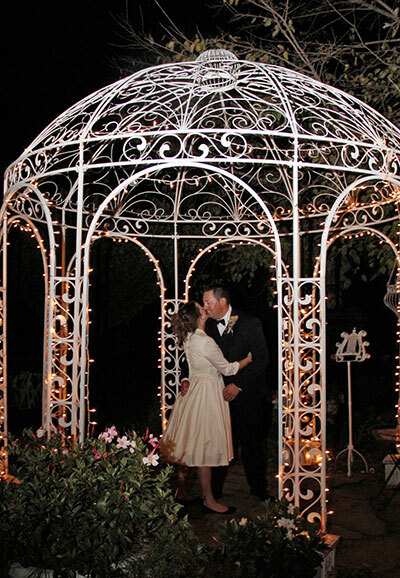 Rigos and Jessica's venue ran with all their ideas and created exactly what they wanted. 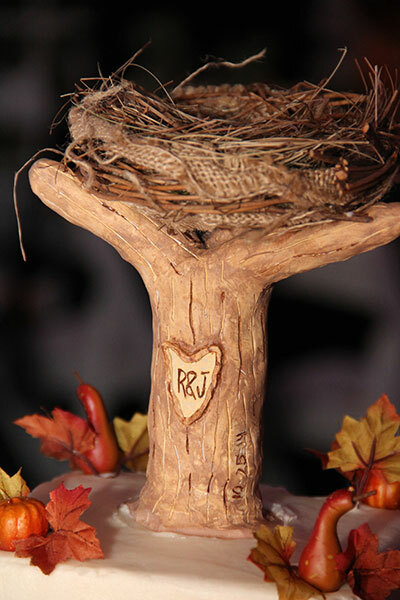 Riverview Manor allowed Jessica to use many handmade details in the wedding and respected her ultimate vision. Jessica handmade an embellishment of pearls for her dress, and then paired her outfit with some creepy black and orange Halloween socks and a pair of Toms burlap wedges. 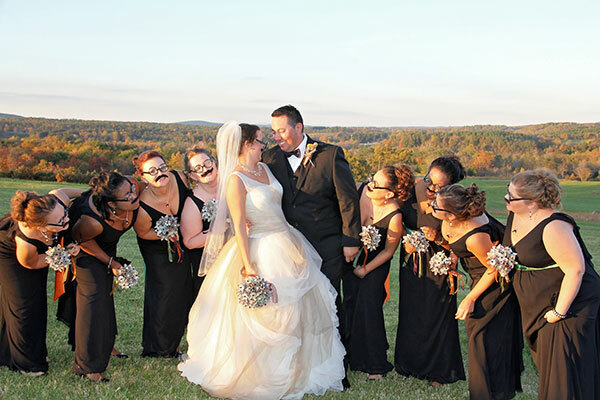 The wedding party wore different colored sashes and bowties to match the couple's wedding colors, and the bowties were presented to the groomsmen in little black coffins. Everyone in the wedding party was also given a Halloween themed gift such as a costume mask or vampire teeth. And, when it came time for Jessica and Rigos to say their vows, they literally tied a knot together to represent their commitment and bonding in a unique and personalized way. For the kids at the wedding, Jessica and Rigos set up various Halloween themed activities, like creepy coloring books and bouncy eyeballs. 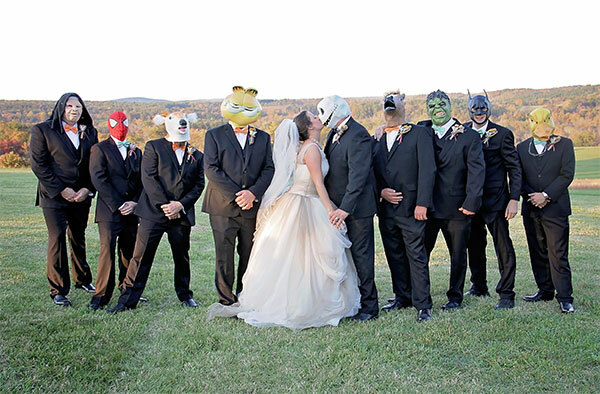 When it came time for pictures, everyone posed in their masks and goofy costumes. 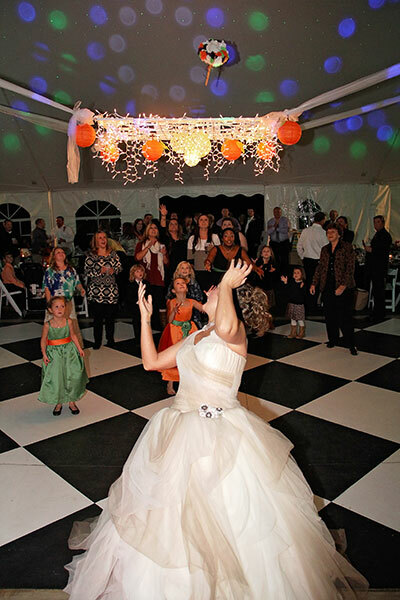 The DJ even threw in a few Halloween songs into the playlists for the guests to dance to. 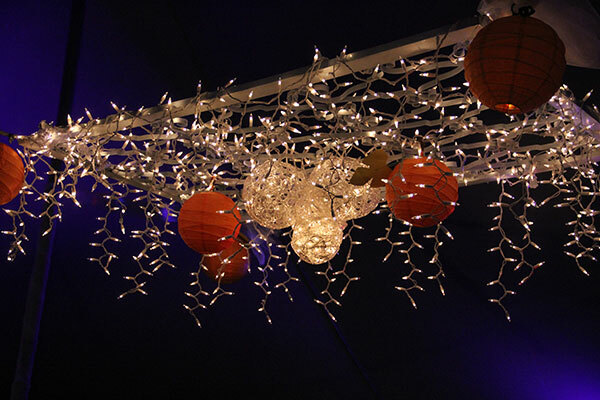 The venue proved the perfect place for all the Halloween themed activities. It even included a small graveyard that the bride and groom decorated with spider webs! 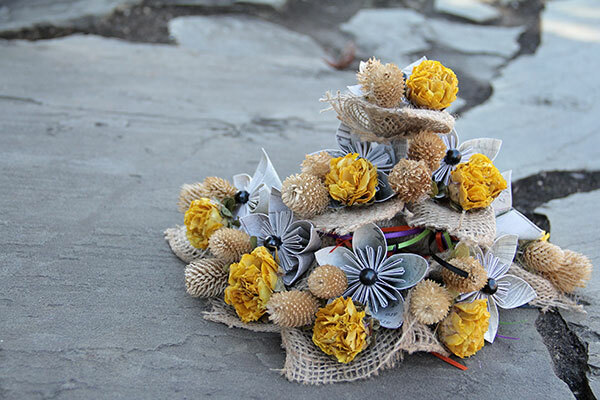 Be sure to see the Horta wedding on page 110 of the third issue of bridebook!